I like to use an 85% lean ground beef. Any more lean, and the meatloaf can end up slightly dry. Any less than 85%, and you’re entering Greaseville, population: you. Let’s at least try to pretend that meatloaf is a somewhat healthy dish, shall we? Preheat oven to 350. Line a sheet pan with foil, spray with cooking spray, and set aside. Chop the onion into a small dice. Throw into a large bowl with the ground beef, bread crumbs, milk, egg, minced garlic, salt, pepper and soy sauce. If raw meat weirds you out, feel free to use foodservice gloves if you’ve got them handy, otherwise proceed at your own risk. 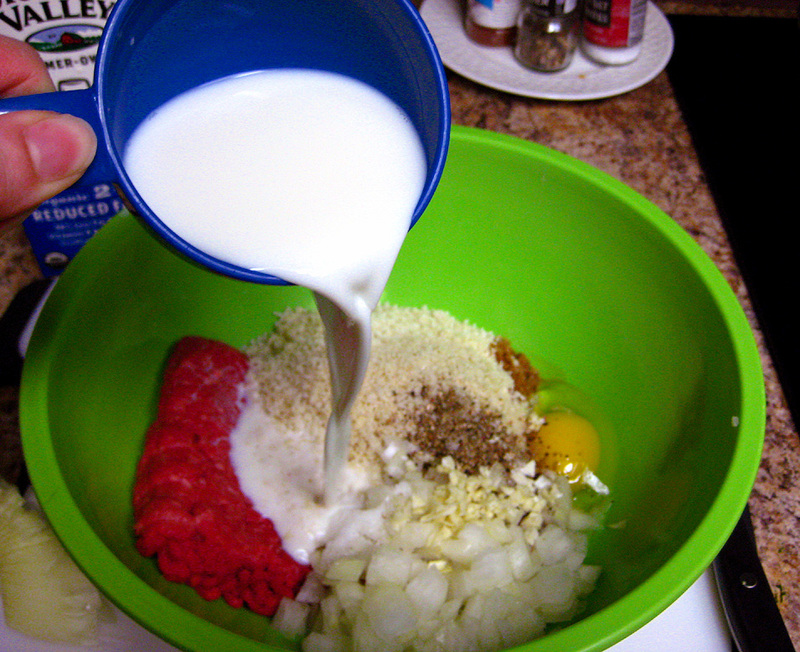 Mix the meat and other ingredients by hand until it’s all smooth and there are no unmixed pockets of milk and breadcrumbs. Divide the mixture into quarters, or even thirds if you and your dinner companions are feeling particularly hungry. Place the portions of meat on the lined sheet pan and form into small loaf-like shapes. 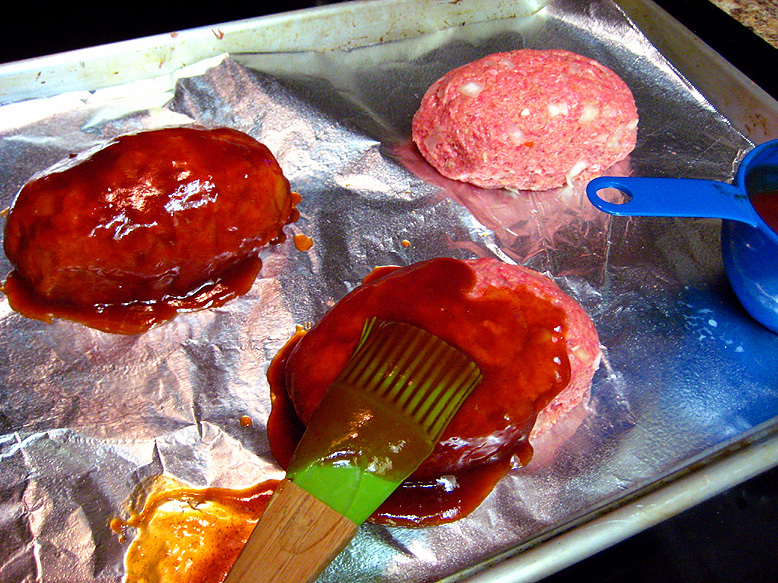 Brush with your favorite barbecue sauce and place the pan in the middle of the oven. Bake for about 35-40 minutes. Here is where a meat thermometer is your absolute lifesaver. When the meatloaf is done, test it with a digital thermometer. Place it in the center of each loaf, and then pull up a bit so that the end of the thermometer isn’t touching the sheet pan. 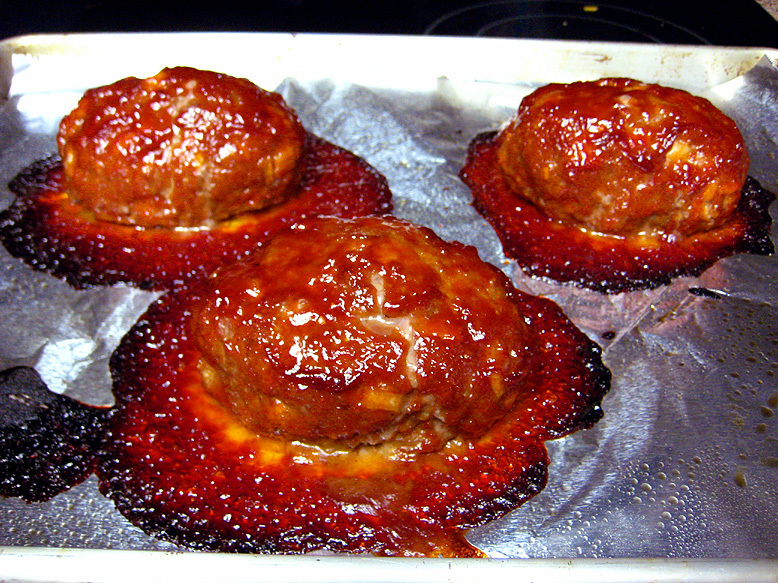 When it’s fully cooked, the meatloaf should register 165 degrees. Once the meatloaf is fully cooked, turn on the broiler setting of your oven and once it’s fully heated, put the meatloaves under the broiler for about one minute. I like to do this step because it slightly caramelizes the sauce on top and adds a touch more flavor (as if it needs it!). Serve this with a simple green salad and potatoes. 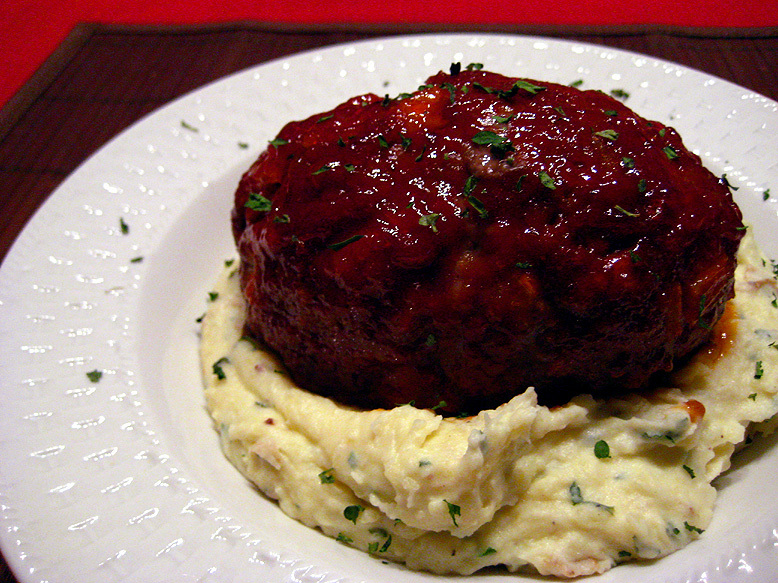 This meatloaf practically screams for a potato side dish. May I suggest my super creamy mashed potatoes? It’s always been my side of choice. Happy eating!